Your child's first experience of a school environment is crucial in order that they develop as an effective learner. Young children learn through play, and the foundation curriculum is planned to give a wide range of first hand experiences while this takes place. This enables children to acquire knowledge, skills, concepts and attitudes in a meaningful way. The curriculum is planned to provide the best opportunities for children to learn. The children are carefully observed so that we are sure of their level of development and can provide for their individual needs. We aim to create a happy, friendly and caring environment where the children feel loved and valued as individuals and feel safe and secure. We believe that our high expectations related to the capabilities of the children enhance their achievements. Our curriculum aims to ensure a continuous and appropriate experience for children. The work that has gone before in pre-school settings continues in the Reception Class and beyond. Parents are the child's first teachers, and this role is as important as ever when children start school. The partnership between parents and teachers is one we value and encourage in the Reception Class. This period when child attends nursery and then reception at school is called 'the Foundation Stage'. It covers seven areas of children's development, which lead into Key Stage One of the National Curriculum. This teaches your child to become confident and self-assured, learn to manage their own feelings and behaviors as well as accept those of others. It enables your child to make friends by sharing and taking turns. This teaches your child to be able to define their gross and their fine motor skills through the use of different equipment. They begin to understand the principles of healthy living and manage their own care independently. This enables your child to listen and pay attention to what is said as well as understand conversations. It allows children to communicate with pothers and develop their speech. 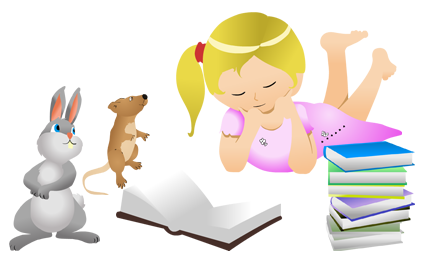 This encourages your child to read books and understand how stories are formed. They begin to make marks, draw pictures and write their name. Your child will start to listen to sounds and learn phonics. Your child will develop an understanding of math through stories, songs, games and imaginative play. They will become comfortable with numbers, learning to count and understand concepts to do with measure, time, capacity, shape, space and opposites. Your child will explore and find out about the world around them, asking questions about it. They will build with different materials, know about everyday technology and learn what it is used for. Your child will learn about people and their community and look at both similarities and differences in the world around them. You child will be encouraged to be involved in imaginative play experience as well as sing, dance and make music. They will learn to create using differing materials, techniques and colours. The goals do not put pressure on your child as most of the time they feel they are just playing and having fun. Sometimes they will choose what they want to do. At other times they take part in activities that helps them learn how to concentrate or develop a particular skill, like using scissors or gluing card. These key areas, above, will be explored and developed with a different topic / theme running each half term. At Toybox we will involve the children in active learning experiences. This may involve observation, discussion and explanation. It is worth remembering therefore that the most important thing that your child has learned during that session may not be able to be taken home with them.